Elephants are among the world’s most intelligent species. With a mass of more than 11 pounds, an elephant’s brain is larger than any other land animal. According to research, humans are the most intelligent animals. They are followed by the apes, then elephants, and then the dolphins. A study revealed that the strong memory of an elephant helps them survive in the wild. Elephants have memories strong enough to remember stuff from their childhood. 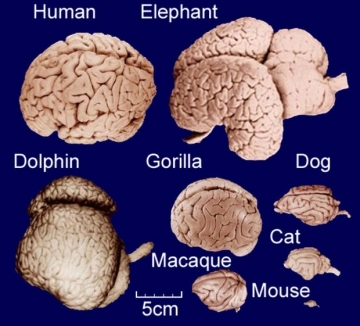 An elephant’s brain is much denser compared to the human brain. Temporal lobes that are associated with the memory are much more developed than that which is in humans. Elephant lobes also have more folding, which means that they are able to store more information, therefore giving them an excellent memory. Generally, an elephant can recognize more than 200 different elephants. This is very essential since females greatly depend on each other for raising their young ones. A mother elephant can remember the one to trust and the ones to avoid. While memory is important when two elephants meet, they also produce some contact appeal. In case the other elephant recognizes this appeal, she responds and approaches. But if it does not, it adopts a very defensive position. This recognition lasts for very long period even after one elephant is dead. There is even a recording on a dead animal that attracted attention of its descendants and relatives. In critical moments, a family of elephants stands on the experience of the oldest and wisest elephant in the group. She is called the matriarch and she controls the day to day activities of the heard and leads the entire family in different places. Her strong memory is employed in such times. She is able to remember where the places to go during dry periods and even what they will do if there is danger. This is because she has already passed through such situations. The older she becomes, the more effective is her elephant memory. Her death is always tragic to the group.